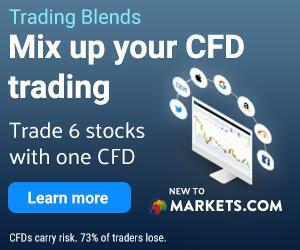 BullMarketz.com provides online brokerage reviews for the forex and CFD market around the world, and we pride ourselves on offering 100% unbiased reviews based on factual and rigorous testing. We also continuously strive to keep all of our reviews updated and accurate which means we continuously re-test every single broker and update our recommendations accordingly. If you’re looking to learn more about how we review the recommended brokers, we suggest you keep reading. Our reviewing process is simple, and our goal is to make sure that we check out and test every single part of each broker. That requires a group of professionals that spend many hours of work using a range of devices and tools. After we’ve collected all the data we need and tested all the features, we combine the information and compare it to other brokers. In addition, we also consider what other traders and users have to say about each broker by visiting forums and reading other reviews. That being said, what other people have to say about a broker does not weigh as heavily as the actual testing we do and our reviews are always based on the testing. We have two sets of reviewing processes with slightly different goals and outlines. The first one is the general review where we go into detail about every little part of each broker. You can find the results from these tests in the comprehensive broker reviews we offer. In the reviews, you can find everything about the broker you’re interested in ranging from their software and products to the assets they offer, how well the platform works, and whether or not they offer competitive fees. The second type of review we do is more specific and is based on a set of criteria. For example, it could be a comparison of the best forex trading platforms or the best stock trading apps in the UK. When we do those comparisons, we focus most of our efforts on the specific feature or criteria that we’re comparing. This means that a broker that scores high as a forex broker might score worse as a CFD stockbroker. Also, a great forex broker in the UK might not be available in South Africa, and so forth. Our tests are conducted over a several day periods where each part of every broker is tested on whichever devices they support. In general, that means each broker gets tested on a PC, Mac, iPhone, iPad, Android smartphone, as well as an Android tablet. In some cases, when necessary, we also conduct tests on Windows phones and Apple watches. Web traders are tested in the three main browsers using high-speed fiber optic internet. All of our reviews are done by a team of experienced traders with immense knowledge and an understanding of how the industry works and what’s needed from a broker. Moreover, even though we may receive a commission from certain brokers that we recommend, we always commit to producing unbiased reviews, and we would never change any of the results based on economic reasons.